Our Assistant Director, Katy is in London this week and was able to take advantage of a free afternoon to wander around the London neighborhood of Shoreditch – just minutes away from where our Annenberg students live during their semester abroad. From street art to busy markets to a thriving entertainment scene, Shoreditch is widely known as the creative hub of the capital. Located in East London, it’s a great location to commute within the city, meanwhile making it one of the most affordable places to live in Central. Besides its quirky characteristics, Shoreditch is also known for its cultural diversity, vibrant streets and exclusive night life­— you’re sure to find something for yourself in this part of town. Shoreditch has a long history, from being an artists’ hub to homes to vagabonds, university students and working Londoners and, now, known for its hippy ambiance, it’s safe to say Shoreditch is one of the coolest and safest places in London. The closest comparison to Shoreditch would be Silverlake in Los Angeles or Brooklyn in New York. Located in the heart of the city, Shoreditch is a 6-minute walk from student housing, next to the City University of London. The tube station is within Zone 1 of the underground line, making it super accessible to major landmarks and tourists spots in Central London. Shoreditch is best known for its admirable street graffiti, you can find some seriously inspirational and creative art on every corner of Brick Lane and Redchurch Street. With new artworks appearing every day, you’re sure to find yourself stopping over to marvel at these pieces. World famous artists such as Nathan Bowen and Banksy have left their marks here, making Shoreditch one of the most vibrant and awe-striking streets to walk around in. Old Spitalfields Market: is one of London’s oldest markets, with both food stalls and shops, it has everything you’re looking for under one roof. Brick Lane Market: is a Sunday pop-up market mainly consisting of antiques and food stalls. If you’re looking for a good bargain, this is the place you want to be. Vintage Market: as the name suggests this place screams everything vintage. It’s a hidden market, located in a basement just off of Brick Lane (Thursday- Sunday). Besides some of the best dine-in restaurants, Shoreditch is home to some of the most famous street foods. Brick Lane’s famous Sunday market brings in cuisines from around the world, take your taste buds for a trip around the world for minimal cost. Make sure to check out Beigel Bake and the Lardo Fried Rice at Smoking Goat, you’ll thank me later. Shoreditch has some of the best rooftop bars and restaurants, go rooftop hopping to find your best Instagram shot. Queen of Hoxton and Cargo are some of London’s most loved bars, with great music and a vibrant ambiance to match with it. You can even walk along the River Thames at night, its a view you must not miss. No place in London beats Shoreditch for its nightlife. There are some really unique pubs and clubs that are great for a fun night out. Make sure to check out Bounce, for a fun game of ping-pong and happy hour deals. This is the first and one of the most hipster pop-up malls in town – a shopping, dining and drinking hub, you’ll find some of the most unique independent and global brands. It’s a world of its own, worth every minute spent there. 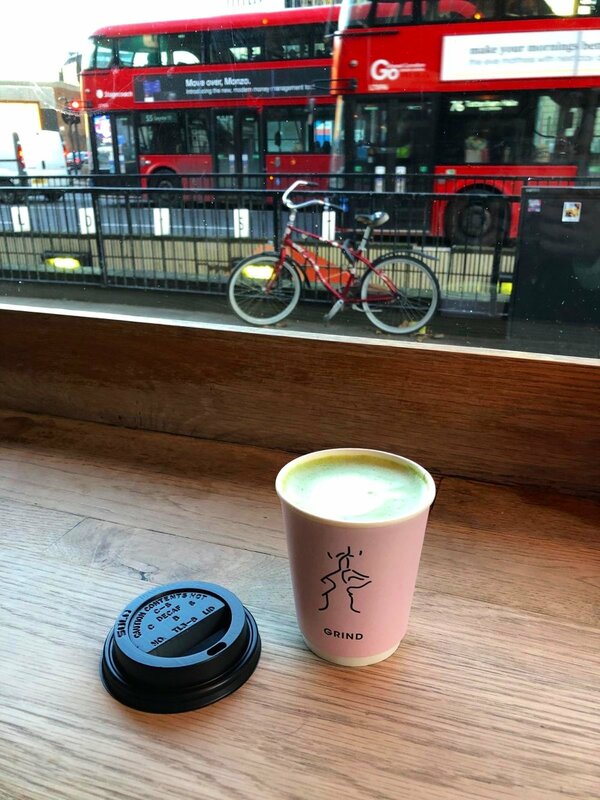 Walking down the streets of Shoreditch you are bound to find numerous hipster café’s, which could help with your quick morning fix or facilitate as a cool work-space when working on class assignments. Shoreditch Grind was our favorite pick, with great coffee blends and aesthetics you are sure to love this spot. In a city as wide-spread and expensive as London, it could be difficult to find accommodation that ensures both safety and affordability. Shoreditch is the right blend of the two, making it a hot spot for most university students.